When I converted from a newsletter to a blog format 18 months ago I didn't realise the upside would be that I would find new on-line friends from all around the world. The downside being that, no matter whether it's a newsletter or a blog, it still takes a lot of time to find, finesse and file stories that are interesting and celebrate innovation (FYI I've actually stopped reading a lot of blogs to ensure I don't repeat stories - given the velocity of viral news - and waste time worrying that I'm telling you about something you already know about... lordy!). Benedicte Flouriot is a blog buddy in Beirut. 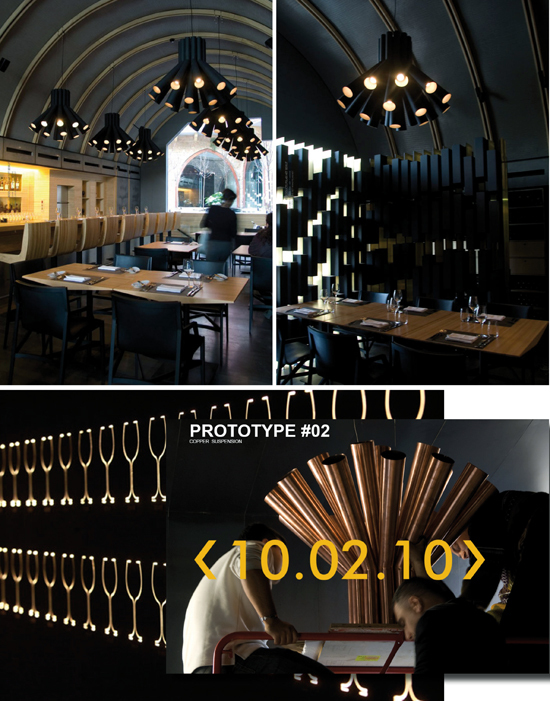 PSLab is a bespoke lighting laboratory doing fabulous things with illumination. Benedicte keeps me in the loop with their latest lux projects. I love the look of their make over of, Isis, one of the cities oldest rooftop bars. Whilst I have never been to the Middle East because of the negative news we get here associated with bombings etc. I am increasingly intrigued... and just may get there yet! PSLAB is a lighting design company in Lebanon with an impressive portfolio of projects. Burgundy restaurant in Beirut is all the better for their striking arrangement of bulbs.